It's Columbus Day which is a holiday that I don't care to celebrate. However, it is nice for some people to have a day off. 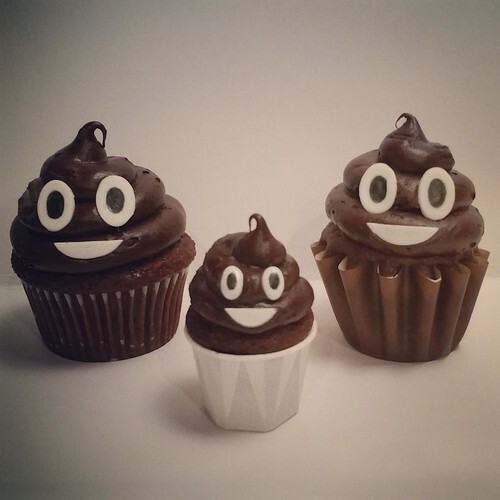 I spotted these poop emoji cupcakes on Death By Cupcake's Flickr and I laughed out loud. Chocolate cupcakes are delicious, but these cupcakes are hilariously subversive. PS Check out this recipe for Pumpkin Toffee Coffee cupcakes since today is also Pumpkin Pie Day.